Below is the list of does that have kidded this spring, and the prices of their kids at weaning time. All kids are for sale. They will be available for purchase once they reach three months of age. Lindor will be castrated unless the buyer requests otherwise. We have a small herd of goats, which means that we have a very limited number of kids available for sale each year. 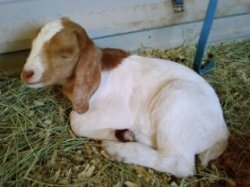 Reserving a goat is a way to ensure that you have the best chance of acquiring a kid. You can reserve kids before birth or being weaning. 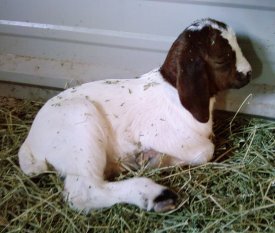 To reserve a goat, we require a $25 non-refundable deposit per goat. This deposit will place you on the list. We will then contact everyone on the list in the order we received their deposits and make appointments. Here's how you can do it. 1. Contact us and let us know you would like to reserve. You can also reserve kids from a particular dam. Simply note your preference on the contract. Please realize that this will limit the scope of your reservation. Rampant Raven Ranch (the seller) hereby grants to __________________ (the buyer) the right to a first-reserve, first-serve opportunity to set an appointment to reserve for purchase at weaning ______wethers, ______doelings, ______bucklings. The buyer has deposited $25 USD per head towards the final purchase price of the kid(s) reserved. The seller will return this deposit if no kid(s) of the specified gender is available for sale. In the event that the buyer refused to select any of the animals available, the buyer forfeits the deposit. The seller agrees to contact the buyer at the e-mail address provided when the kids are between two and six weeks of age. Once the seller notifies the buyer, the buyer will have two full business days to contact the seller and set an appointment to visit and reserve a kid(s). Notification will be on a first-come, first-serve basis in order of payment of the reservation deposit. This contract does not guarantee that the appointments will fall in a first-come, first-serve basis, only that the opportunity to set appointments will be in that order. 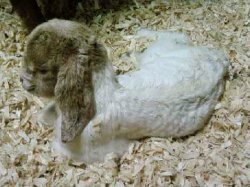 If the kidding dates of the herd are farther apart than the two to six week range given, then the buyer will be notified when the first kids reach six weeks of age. The buyer will then have an opportunity to reserve from all kids between two and six weeks of age. If the buyer reserves a kid, this contract has been fulfilled. If, however, the buyer does not reserve a kid, then the buyer will be notified when all available kids are at least two weeks of age. The buyer will then have the opportunity to reserve from the available kids. If the buyer still does not reserve a kid, the buyer will forfeit the deposit.